Paula and her team at M + P place all their focus on you! Whether you're looking for a single outfit or wishing to completely revamp your wardrobe, M + P will help every step of the way. M+P Boutique has open hours and also encourages private appointment to welcome each customer with ample time and focus. M + P focuses on the elevated classics to give you an elevated and stylish look! The boutique carries jackets, blazers, pants, jeans, accessories, jewelry (to die for! ), shoes and more. All sourced from unique brands around the world that put quality and care at the forefront of their fashion. Paula uses merchandise from M + P, your closest and other stores to find you the perfect outfit for any event. Whether it's black tie, a family wedding or a beach vacation Paula uses all available resources to find what you need and bring it to you. Need help sorting through years of unworn clothes piling up in your closet? Not sure which shoes to keep or which bag will come back in style? 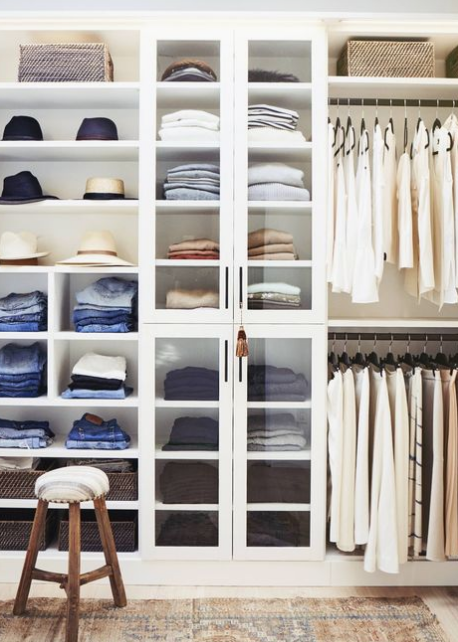 Closet Therapy is M + P coming to your home and giving a fresh, new take on your closet. Based on your daily needs and goals, Paula organizes and refreshes your closest so you can grab an outfit and go.